Can Automation Reduce the Risk of Food Recalls? Is automation the answer to preventing the health and economic consequences that come from a food recall? A comprehensive automated food safety management system helps eliminate the inefficiencies, risks and waste that come from a paper-based system. More importantly, it ensures compliance with the food safety standards and procedures established by recently created or amended Federal regulations, including the FDA Food Safety Modernization Act (FSMA). However, this news hasn't reached the food industry as a whole yet, and most organizations still have a manual, paper-based system in place to evaluate and keep records of their internal audits on hazards and facility operating procedures. This could be costly if there is an issue – both for the consumer and the organization. Therefore, for the purposes of this blog post, we will discuss why food recalls happen, how the FSMA aims to change the way we act towards food recalls, and why automation can greatly help food organizations comply with this incredibly important food safety law. · Consumer confidence can dwindle after a reported food recall. The stock price of an organization could fall up to 22 percent within 2 weeks after the announcement. 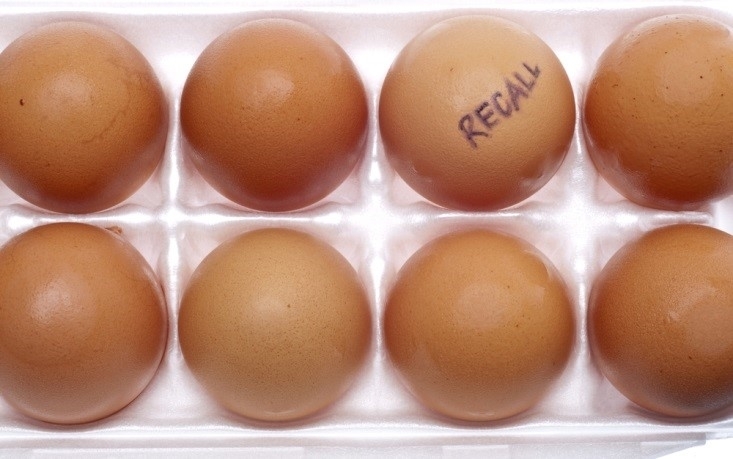 When Is a Food Recall Triggered? There are three classes of food recalls Class I is the most severe as use or exposure to the product could cause serious harm or even death. Class II might produce an adverse effect, but it is normally temporary or treatable – many allergens, for example. Class III is often innocuous to the public, like a minor mislabeling issue. There are many causes for these reasons for a recall. Outdated facilities or practices, employee error, a growingly complex supply chain with many players involved, traceability concerns, and natural disasters all have been behind some of our nation's worst food recalls. How Does the Food Safety Modernization Act Encourage Prevention Rather than Response? Over the years, the FDA has been given greater responsibility to strengthen our food safety standards. The most significant recent legislation has been the FSMA, which was passed by Congress in 2010. The legislation shows a shift in policy in how we ensure the safety of our food. Rather than working on better response, the FDA will instead focus on getting food companies to be active participants in the prevention of food recalls. The FSMA mandates thorough food safety hazard plans (HACCP and HARPC) that call for review of potential hazards, controls and critical points in the food manufacturing process. Food companies must be active in preventative measures against hazards and have plans in place to address any that are found. Those that don't face penalties, potential consumer backlash and other negative consequences. In addition to that, food organizations must register their facilities every 2 years; keep records of manufacturing process, internal audits, product testing, and more for easy FDA access; and confirm compliance from their foreign exporters as an estimated 15 percent of our food supply is imported. The FSMA also gives the FDA mandatory food recall authority if necessary. How Does Automation Help Companies Comply with the Food Safety Goals of the FSMA? With the FSMA, the end game is to have more standardized operations, better access to information, and more accountability if these food safety requirements aren't being addressed. It's for these and many other reasons why automation through a software-based QMS is so crucial to the Food and Beverage organization of today. An automated HACCP/HARPC process that connects to a QMS provides visibility into complaints, audit findings, Corrective Actions (CAPA), change management, and supplier quality to prevent food recalls. Additionally, automation helps every part of the food supply chain system achieve its ultimate goal: providing a quality product to the consumer. Therefore, yes, automation should be an investment food and beverage companies make in this new era of food safety.